The insight is simple: Cosmetic surgery makes you look and feel younger. 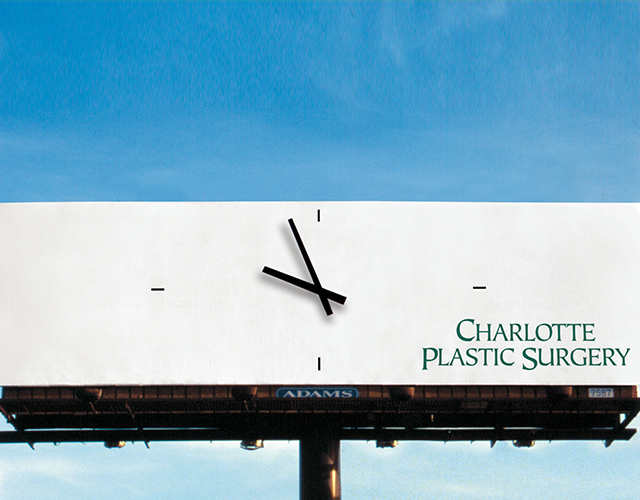 So we designed a billboard that demonstrates what Charlotte Plastic Surgery does. 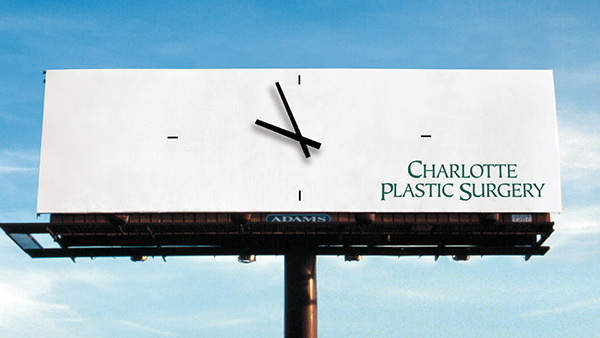 Their work turns back the hands of time. Can it still be considered “out-of-home” if we brought it inside?